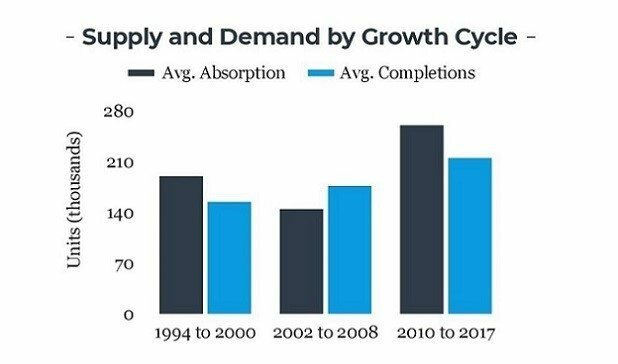 Unlike the last growth cycle, the present one has seen demand outstrip the new supply, according to Marcus & Millichap. CHICAGO—Investors have worried for some time that the remarkable boom in multifamily construction is on the verge of reaching a plateau. But even though the pace of new construction has been faster than ever, the tenants keep showing up. And according to a new mid-year report on the national market from Marcus & Millichap, not only should strong absorption continue this year, but the changing demographics of the upcoming millennial generation will create long-term demand that may soften the eventual downturn.